Attended meeting with Premier’s office to discuss priorities for business risk management programs. Article published in ONfarmer on merits of certification featuring OCO’s ED, Jodi Koberinski. Finished developing strategy for RR Alfalfa conversation with Canadian Seed Trade Association (CSTA). Organized farmer response to RR Alfalfa issue. Preparations & invitations to 3rd annual Organic Dinner & Jazz night at Hart House. Wrote backgrounder on seed freedom campaign. 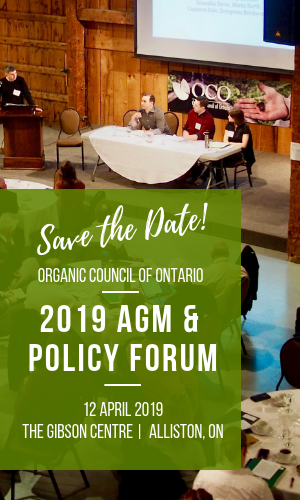 Updated the OCO website to host information about how to become certified in Ontario, including a printable PDF file – an important resource for encouraging and assisting farms to transition to organic.